“We were expecting the US… to come up with constructive measures to help build confidence in the spirit of reunion and talks. However, the attitude of the US was indeed regrettable,” said a statement released by the Korean Central News Agency, citing an unnamed North Korean Foreign Ministry spokesman. The North expected that Washington “would offer constructive measures that would help build trust based on the spirit of the leaders’ summit,” the official said. “However, the attitude and stance the US showed in the first high-level meeting was regrettable,” he concluded. Some places a great deal of progress, other places there’s still more work to be done,” he continued. Pompeo landed in Pyongyang for high-level talks with Kim Yong-chol, vice chairman of North Korea’s ruling Workers’ Party Central Committee, on Friday. 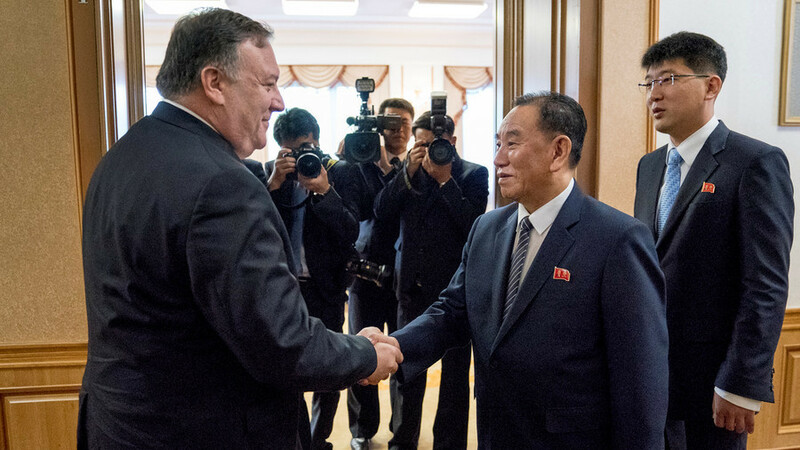 The officials reportedly discussed a range of issues, including the return of the remains of US troops killed during the Korean War.